MARSHALL, Texas – Taking on East Texas Baptist University in the regular-season finale, the LeTourneau University volleyball team would be unable to complete a season sweep of the Tigers as the YellowJackets would fall in three sets at Ornelas Arena on Tuesday, October 23. LETU is now 7-20 overall and 4-10 in the American Southwest Conference while the Tigers improved to 13-13 and 7-7 in the ASC. Both teams have qualified for next week’s ASC Tournament, which will be hosted by the University of Mary Hardin-Baylor. Playing each other for the second time this season neither LeTourneau or East Texas Baptist would be able to get off to a quick start over the other as the six attempts would be had in the early going. With the score tied at 8-8, LETU would manage to score two points off Tiger attack errors to claim a 10-8 lead before eventually building their lead to 13-10 on a block by Natalie Connelly and Kianna Crow. ETBU would storm back with four straight points to force a YellowJacket timeout as the Tiger run would swell to an 8-0 run to put LETU in an 18-13 deficit. The run would manage to be the turning point of the set as the five-point lead would be too big to overcome for LeTourneau in the game. 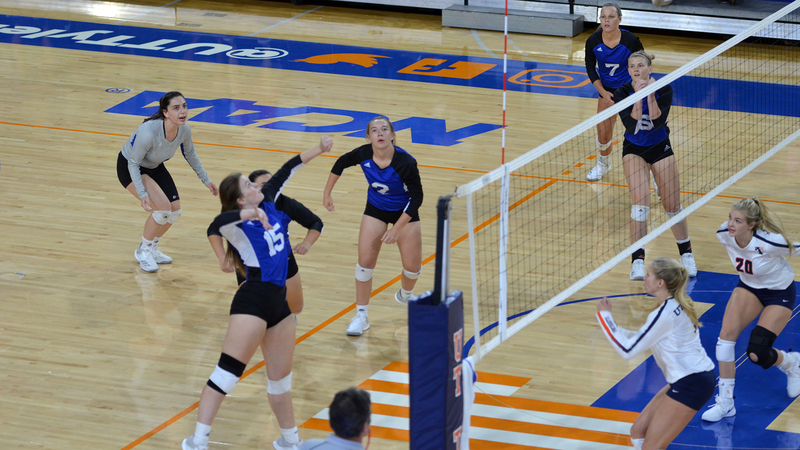 Looking to shake off the first set defeat, the YellowJackets would once again find themselves locked in a tight battle early on as the two teams would trade the first 16 points of the set as part of the six attempts. ETBU would use a quick 4-0 run to break the deadlock and force an LETU timeout at 12-8 and manage to extend to a 6-2 Tiger advantage to go up 14-10. Following a solo block from Crow to pull LeTourneau back within three, East Texas Baptist scored four straight points and 10 of the next 11 points to double up the YellowJackets at 24-12 before eventually taking the set 25-13. Needing to try and flip momentum in their favor, LeTourneau would open up the third set by scoring four of the first five points to jump out to a 4-1 lead but see the Tigers battle back to tie the game at 6-6. A Cam Taylor service ace would tie the set at 9-9 as it would set off a run of 13 straight ties as rallies could not be strung together by either team. The final tie of the match would come at 21-21 following a kill from Mikayla Thomas before ETBU would close out the set with four straight points to win the game. LETU would hold a 4-0 advantage in blocks over the Tigers, but see East Texas Baptist hold a 5-2 lead in service aces while recording a .278 attack percentage. Crow and Thomas would lead the YellowJackets with seven kills in the match while Sydney Spillers dished out 16 set assists. Taylor would provide a team-high 14 digs while Connelly and Crow had a match-high three blocks. LeTourneau will make their second-ever appearance in the American Southwest Conference Tournament which is scheduled to take place November 1-3. The YellowJackets will be the number three seed out of the ASC East Division and will play either McMurry University or Concordia University Texas at 5:00 pm on Thursday, November 1. LETU’s only ASC Tournament appearance took place in 1998, which was held in Belton, Texas as the YellowJackets fell in straight sets to host Mary Hardin-Baylor. 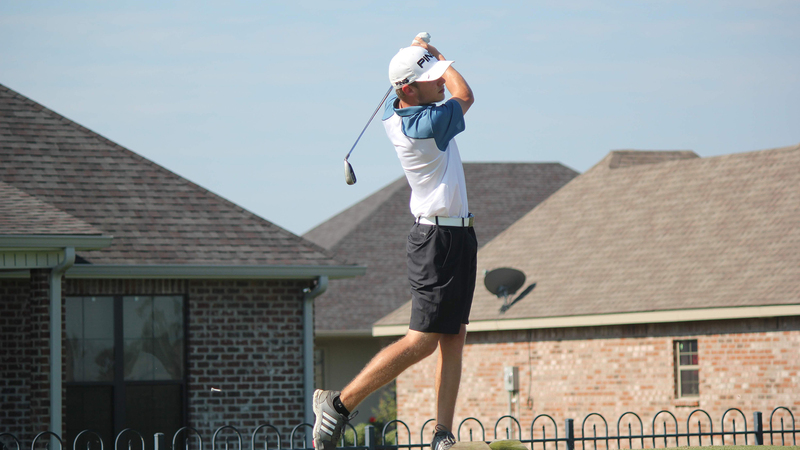 ABILENE, Texas – Earning one top-10 individual finish, the LeTourneau University men’s golf team would take fifth-place at the nine-team Abilene Intercollegiate golf meet while also having individual players compete in the Tyler Junior College Fall Invitational on Tuesday, October 23. LETU posted a final-round team score of 297 in Abilene to finish the tournament with a score of 601, 40 strokes better than last year’s score posted by the YellowJackets at the same meet. Southwestern University would overcome a one-stroke deficit to edge McMurry University for the win, finishing with a score of 574 while the War Hawks shot a 576. Junior Cory Gillespie would finish tied for eighth in the final tournament of the fall, shooting a round of one-under 70 to finish with a total of two-over 74. Freshman Wes Nolen would be able to keep a relatively clean scorecard on Tuesday, finishing with just one bogey to shoot a one-over 72 and finished tied for 19th with a 150 while Reed Fisher finished in a tie for 23rd with rounds of 75 and 77 (152). 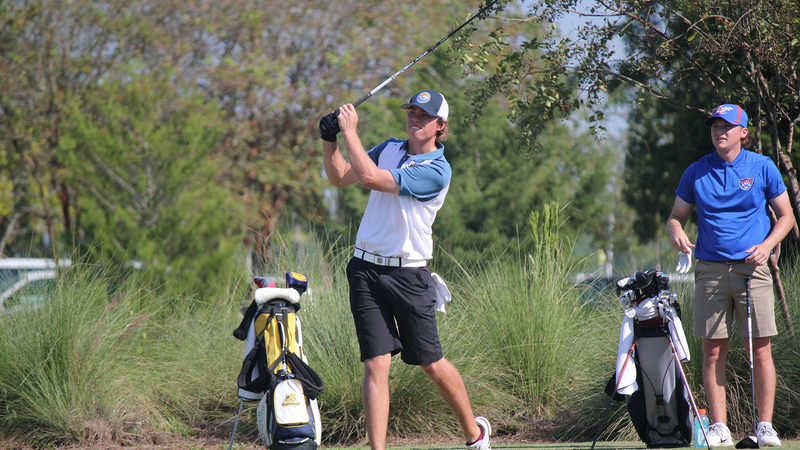 Also competing in Abilene for the YellowJackets were Buster Byrnes (T33, 155) and Alex Koll (39th, 157) as both would shoot one stroke over yesterday’s opening round. Action on the course in Tyler saw Keaton Williams finish as LETU’s top finisher in a tie for 23rd following a final round of one-under 71 to finish the tournament with a score of three-over 147. Ryan Newell would manage to shoot a final round 76 to finish with a score of 154 and tie for 35th while Sean is tied for 42nd with a 157 (80-77). The YellowJackets would also have Michael Gonzales (T47, 161) and Logan Tucker (52nd, 176) play in their final meet of the fall. LETU will return to the course in early February, with the 2019 spring opener scheduled to take place at the Howard Payne Spring Invitational on February 16 and 17. 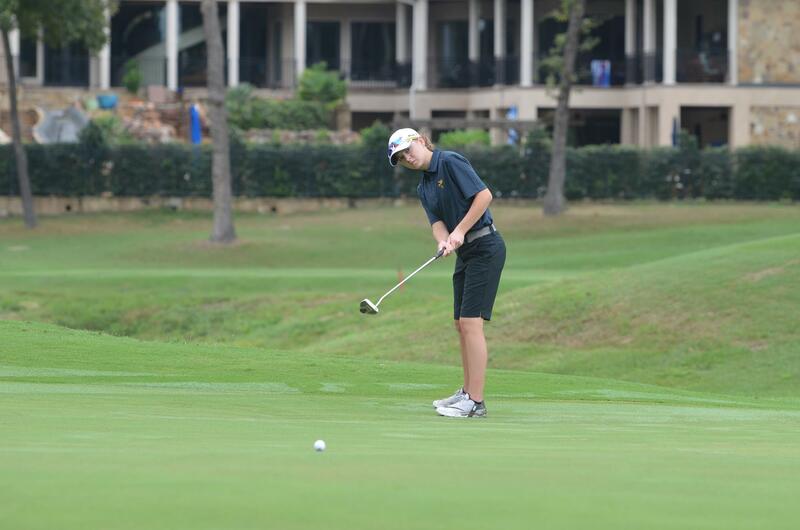 TYLER, Texas – Led by a fifth-place finish from freshman Baylee Van Houten, the LeTourneau University women’s golf team improved by nine strokes to finish fifth at the Tyler Junior College Intercollegiate held at Pine Springs Golf Course in Tyler, Texas on Tuesday, October 23. LETU concluded their fall portion of their schedule with a final round of 346 after shooting an opening round of 357 on Monday to finish with a two-day total of 703. Ranger College would win the tournament after shooting a final round 328 which was paired with Monday’s round of 326 to finish with a total of 654 while Bethany College of Kansas finished in second with a total of 666 (334-332). Van Houten matched her score from Monday by shooting a seven-over 79 on the Par 72 course to earn her first top-five of her career with a total of 158 while Shelby Allen took 15th following rounds of 86 and 90 for a total of 176. Sophomore Rachael Green would improve on her individual series by eight strokes from Monday to shoot a final round 88 to finish in a tie for 23rd with a score of 184 while junior Brittany Taylor was one stroke back of Green in a tie for 25th (96-89-185). With the fall portion of their schedule complete, LeTourneau will return to action on Saturday, February 16 when they take part in Howard Payne University Spring Invitational to open up the spring season. 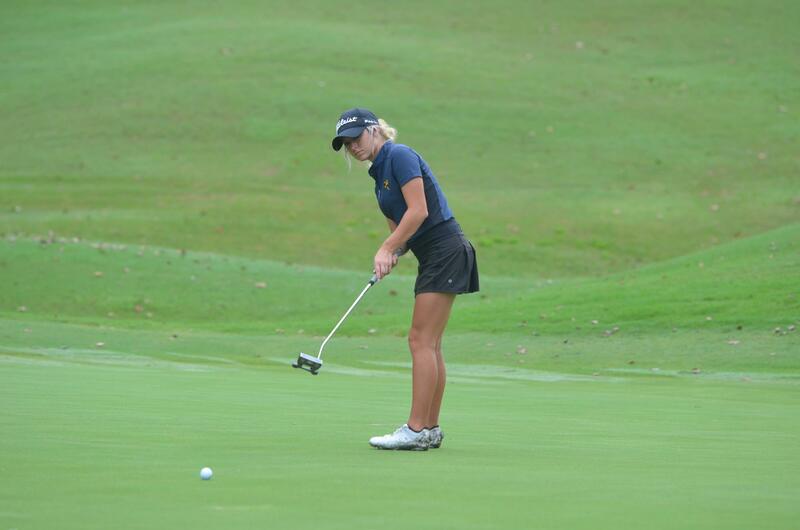 TYLER, Texas – Shooting an opening-round 357, the LeTourneau University women’s golf team is in fifth-place at the Tyler Junior College Fall Invitational held at Pine Springs Golf Club in Tyler, Texas on Monday, October 22. Leading the seven-team field is Ranger Community College after shooting an opening-round 326, eight shots ahead of Bethany College of Kansas (334). Murray State Community College sits in third place after an opening round of 340, while host Tyler Junior College is in fourth after shooting 344. Sitting in sixth-place overall in the individual scoring, freshman Baylee Van Houten turned in an opening round of 79 on the 6,149, Par-72 course and is just five shots back of leader Kitana Hollins of Murray State Community College. Shelby Allen turned in an opening round score of 86 to put herself in 14th place overall heading into tomorrow’s final round while Rachael Green and Brittany Taylor are both tied for 25th after rounds of 96 on day one. LeTourneau will get play one final round tomorrow to conclude their 2018 fall season, with action getting underway around 9:00 am. 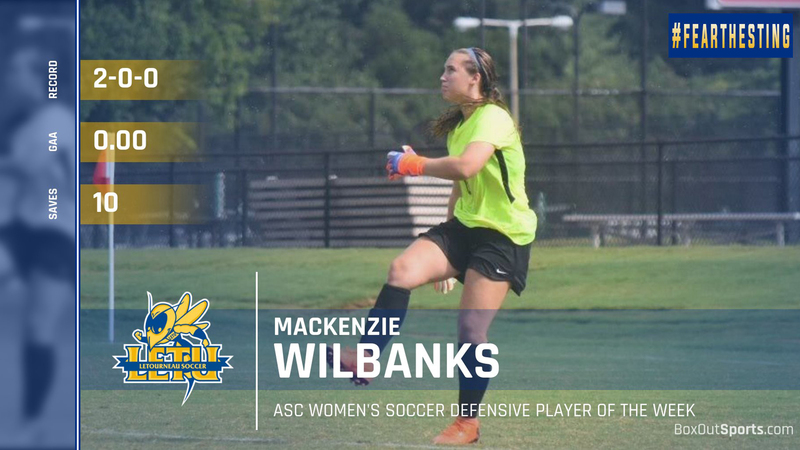 RICHARDSON, Texas – For the first time in her career, LeTourneau University freshman goalkeeper Mackenzie Wilbanks has been named American Southwest Conference Defensive Player of the Week for her performance during the week of October 15-21. Wilbanks posted a pair of shutouts for the YellowJackets, making a total of 10 saves as the YellowJackets secured a spot in the 2018 ASC Tournament. The two shutout wins give Wilbanks three shutouts in her seven victories this season and her first shutout win since September 4. A native of Frisco, Texas, Wilbanks is the daughter of Matthew and Lisa Wilbanks and is an engineering major at LeTourneau University. ABILENE, Texas – Playing in two different meets as part of their final matches of the 2018 fall season, the LeTourneau University men’s golf team is in fifth place after day one of the Abilene Intercollegiate and eighth place at the Tyler Junior College Fall Invitational on Monday, October 22. In the Abilene Intercollegiate played at Diamondback Golf Course in Abilene, Texas, LETU finished with an opening round score of 304, 16 shots off the lead set by McMurry University with a 288. Southwestern University (289) and Texas Lutheran University (296) round out the top three while host Hardin-Simmons University is in fourth with a 298. Leading the YellowJackets in Abilene was junior Cory Gillespie who is tied for ninth following an opening-round 74 on the 6,977 yard Par-71 course after shooting a 39 (+3) on the front nine before carding three birdies to finish the back nine with an even-par 35. Junior Reed Fisher sat one shot back of Gillespie and tied for 13th after finishing with an opening round of 75 while Buster Byrnes tied for 28th following a bout of six-over 77. Also playing in the Abilene Intercollegiate was Wes Nolen and Alex Koll who tied for 30th with first-round scores of 78 (+7). Just up the road in Tyler, LeTourneau would finish with an opening round score of 317, ten shots back of seventh-place Jacksonville College. Number two-ranked Midland College of the NJCAA finished with three of the top-four opening individual rounds to record a team score of 276 followed by McLennan Community College (288) and Ranger College (293). LeTourneau’s low-round on the 6,509, Par-72 course came from Keaton Williams with a four-over 76 (T29) while Ryan Newell shot a six-over 78 to sit in a tie for 37th. Sam Cornelius is tied for 42nd after an opening-round 80, with Michael Gonzales (48th, 83) and Logan Tucker (T50, 85) also recording rounds for the YellowJackets. Final round action is scheduled to get underway for both meets tomorrow morning around 9:00 am, with both planned for a final round of 18 holes. JACKSON, Miss. – The LeTourneau University men’s soccer team battled back in the final regular-season road match from a 1-0 deficit to come away with a 1-1 tie at Belhaven University at the Belhaven Bowl in Jackson, Mississippi on Saturday, October 20. Coming away with a draw for the first time since September 9, LETU is now 6-6-2 overall and 5-3-1 in the American Southwest Conference while the Blazers are now 4-9-3 overall and 2-7-1 following their home finale. After a shot just 47 seconds into the game by the YellowJackets, Belhaven would appear to take control in the first half by putting up three shots and earning two corner kicks in the early stages of the match. Earning their third corner kick of the match in the 27th minute, the Blazers would manage to keep possession in the attacking third of the field and draw a foul inside the 18-yard box to receive a penalty kick opportunity at the 28:12 mark. Belhaven would make the most of the opportunity and blast the PK into the back of the net as LeTourneau goalie C.J. Leyva would be unable to make a diving save to put the YellowJackets in a 1-0 hole. LETU managed to shake off the goal by the Blazers, pushing the tempo and finding their way into the attacking third of the field and poised to find an equalizer before halftime. Following a shot from the Blazers that would be turned away by Leyva, LeTourneau would go on the counterattack and push the ball into the 18-yard box as Eric Smith would knot the game at 1-1 on his third goal of the season. Opportunities for both squads would be more limited at the start of the second half, with just three total shots taken in the first 32 minutes of the second period as neither team would be able to get a prime opportunity at a shot on goal. The YellowJackets, to break a deadlock, would blitz Belhaven keeper Thomas Blake with four shots in the final 15 minutes of the second period, with Moises Soto-Barrera nearly pushing through for a game-winning goal before being turned away just before the goal line. Having not faced a shot in over 33 minutes of game action, Leyva would see a shot by Belhaven’s Tyler White go high over the crossbar in the opening minute of the first overtime session, as the ball would be the one chance by either team in the first extra period. The second overtime would see Belhaven throw everything they had at LeTourneau, putting up three shots on the YellowJackets and forcing a game-saving to save from Leyva as possession of the ball would stay in the LETU half of the field for nearly the entire period. Having survived the last push from the Blazers, LETU would hear the final whistle without attempting a shot in the second overtime period and come away with their second tie of the season. Limited to just seven shots in the match, LETU would have to withstand 12 shots from Belhaven including six in the first half as Leyva would turn away four of the five shots on goal. The Blazers would also hold a slim 4-3 advantage in corner kicks, but awarded just one in the second half and overtime periods. All seven shots for LeTourneau were taken by different players, with six coming from starters. LeTourneau’s American Southwest Conference tournament seeding is still to be determined, with next week’s matches playing a pivotal role in where the YellowJackets will end up in the eight-team field. LETU will play host to Howard Payne University on Thursday, October 25 at 7:30 pm. HPU will play host to Sul Ross State on Sunday afternoon at 4:00 pm before next week’s match. JACKSON, Miss. – LeTourneau wasted very little time to jump out to an early 1-0 lead, the women’s soccer team earned a 2-0 road victory over Belhaven University at the Belhaven Bowl in Jackson, Mississippi on Saturday, October 20. Hitting the double-digit win mark for the first time since 2006 and the second time in school-history, LETU has matched a single-season school record with its 10th win to improve to 10-4-1 overall and 6-3-0 in the American Southwest Conference. The Blazers are now 2-13-1 overall and 1-9 in the ASC heading into the final week of the season. Scoring one of their quickest goals of the year, the YellowJackets would take a 1-0 lead just 3:27 into the game as freshman Reagan Sandford would send a pass into Keely Hayden who would find the back of the net. Following the early goal, little action would take place for the next 10 minutes until Madison Urbana would let off a shot that would force a save from the Belhaven keeper as the Blazers would be held without a shot until the 20th minute of the game. The rest of the first half would play out similarly as LeTourneau would outshoot Belhaven 5-3 in the opening 45 minutes and turn away the only shot that would manage to be put on goal by the Blazers. Grabbing possession to open the second half, LETU would look to add to their mere lead moments into the second period as the YellowJackets would fire off a pair of shots in the opening 71 seconds but see Belhaven manage to stay within one as a shot on goal by Hayden would be turned away. Earning a corner kick at the 67:28 mark, LETU would have Sandford send a kick in that would find Kelli Sonnier who would manage to get just enough on it to redirect the pass past Belhaven’s Noelle Hill and put LeTourneau up 2-0. Back-and-forth action would be seen in the 73rd and 74th minutes as the Blazers would put up a pair of shots 42 seconds apart that would force saves from Mackenzie Wilbanks before seeing LETU go on the counterattack and put up two chances of their own that would force saves from Belhaven. The YellowJackets would be unable to break through the BU defense and find a third goal but withstand a final push from Belhaven that saw three shots in the last 3:20 of the match to hold on for their second straight shutout. 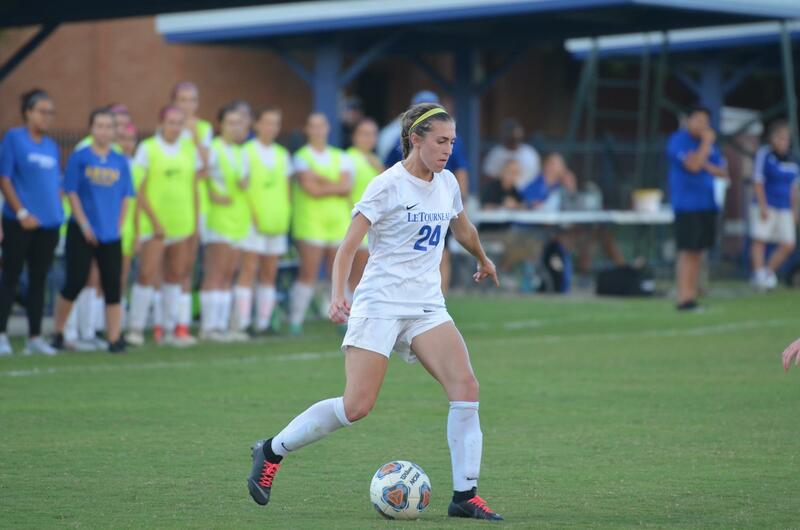 Putting 11 of their 14 shots on goal, LeTourneau would hold a 14-10 advantage in shots in the match and earn all three corner kicks that would be taken in the game. With two assists on the night, Sandford now has a team-best 25 points on the year while leading the YellowJackets in both goals and assists. Five different players for LETU would put up multiple shots in the game, led by a game-high three from Hayden. LeTourneau will play their final two matches of the regular season at home, beginning on Thursday, October 25 at 5:00 pm against Howard Payne University. LETU has clinched a fourth-consecutive appearance in the American Southwest Conference Tournament and will have a chance to add to their potentially record-breaking season against the YellowJackets. 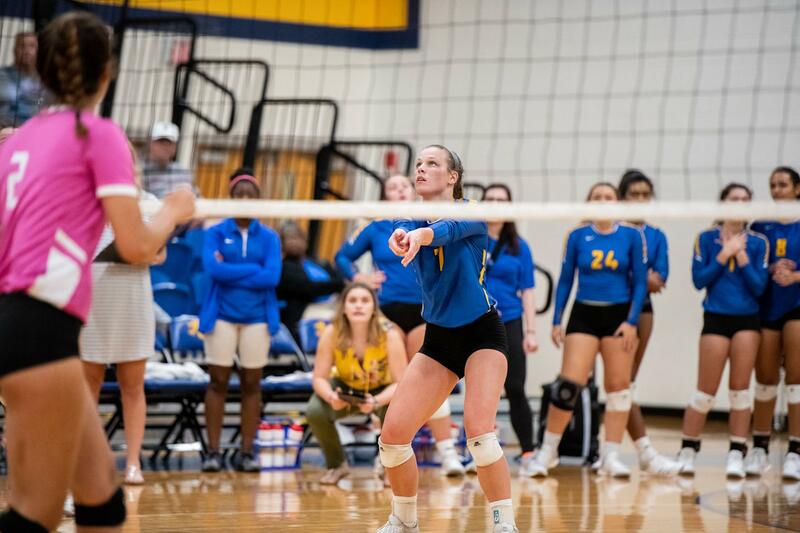 HOUSTON, Texas – In their final non-conference matchup of the year, the LeTourneau University volleyball team would fall in three sets to the University of St. Thomas at the Jerabeck Center in Houston, Texas on Friday, October 19. LETU is now 7-19 overall while the Celts improved to 18-5 in their final season as part of the NAIA. A quick start by the YellowJackets saw LeTourneau jump out to a 4-2 lead following back-to-back kills from Kianna Crow before a 4-0 rally by St. Thomas would give the Celts their first lead of the match at 6-4. Both teams would trade points over the next four points of the set before UST would go on a 7-0 run to take a 15-6 lead as the YellowJackets could not string together any sort of rally to get back into the set. The St. Thomas lead would continue to grow as the Celts managed to score two and three points at a time with points by the YellowJackets keeping UST from going on a tremendous run with the set eventually ending by a score of 25-12. Behind their home crowd on “end cancer” night, the Celts would grab momentum early in the second set to jump out to an 8-1 lead in the second set. LeTourneau would shake off the early set woes and score five of the next six points to get back within four at 9-5, but give up four straight points to St. Thomas who would go back up by a score of 13-6. LETU’s deficit reached double-digits in the set at 17-7, before seeing kills from Crow and Lexie Welton put the score at 17-9. Any type of comeback from the YellowJackets in the set would end there however as the Celts would score eight of the final nine points to run away with a 25-10 victory and put themselves one set away from victory. Following intermission, the YellowJackets would once again find themselves in an early set deficit as St. Thomas would jump out to a 7-3 lead. Instead of letting the early hole get the best of them, LETU would reel off four of the next five points to cut the Celt lead to one at 8-7 and manage to stay within one later in the set at 11-10. UST managed to withstand the LeTourneau rally, scoring three straight points at 12-11 to go up 15-11 and continue to build upon their lead. A comeback would not be in store for the YellowJackets as St. Thomas took the third and final set by a score of 25-16. St. Thomas would utilize an 8-1 advantage in blocks and record 10 service aces compared to just one for the YellowJackets while finishing with a .312 attack percentage on 38 kills and nine attack errors. Netting a game-high 11 kills, Crow would lead LeTourneau with a .233 attack percentage while just missing out on a double-double after finishing with nine digs. Matching Crow with nine kills, senior Liz Williams also added one set assist to go with her team-high nine digs. LeTourneau will look for a season sweep of East Texas Baptist University in their regular-season finale, playing in Marshall on Tuesday, October 22. LETU earned a 3-1 victory over the Tigers in Longview back on September 25. PINEVILLE, La. – Forced to hold off a late charge from host Louisiana College, the LeTourneau University men’s soccer team picked up a crucial 2-1 road victory over the Wildcats at Wildcat Stadium in Pineville, Louisiana on Thursday, October 18. 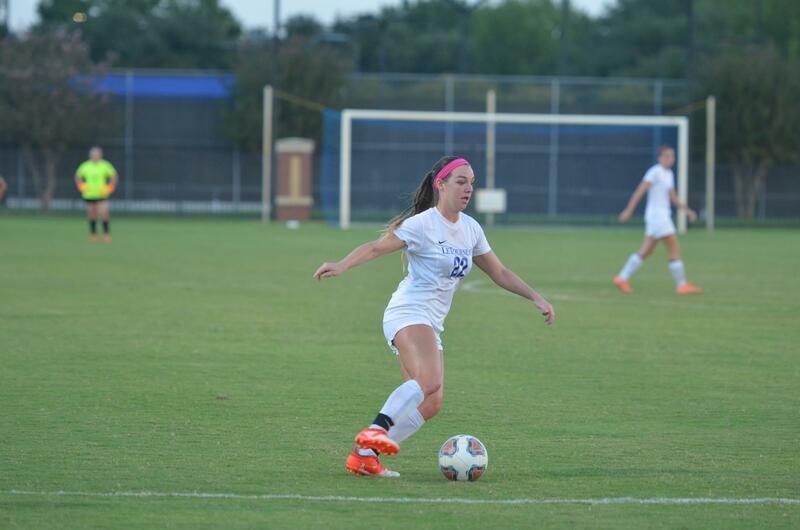 The win moves LETU to .500 overall at 6-6-1 and 5-3-0 in the American Southwest Conference. LC falls to 4-10-1 overall and 3-6-0 in the ASC. Louisiana College would play an attacking style in the opening minutes of the game, forcing the YellowJackets into the defensive third of the field while having to fend off a trio of shots in the opening 12 minutes of the match. LETU’s first shot of the match would come at the 13:16 mark from Christian Hunter, as the game would become more of a back-and-forth up-tempo affair. Things would continue to be played across the entire length of the field as both teams would see opportunities open up to put pressure on the opposing defenses, but no goals would be found in the opening 45 minutes of action. In the early stages of the second half, LeTourneau would hold possession and see a shot from Moises Soto-Barrera go wide before earning a corner kick in the 53rd minute. 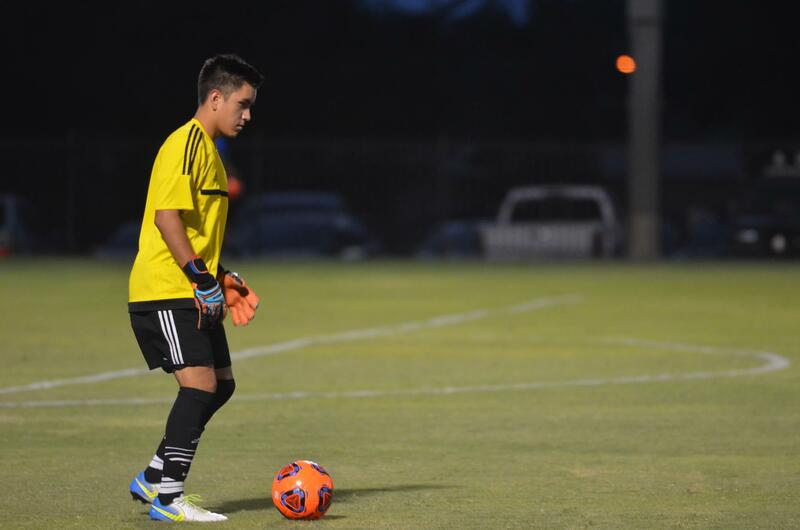 With Luis De La Torre sending in the corner, Louisiana College goalie Evan Barker would deflect the ball off the end line back into play where Soto Barrera would be waiting and put the ball into the back of the net to put LETU up 1-0 at the 52:57 mark. LC would nearly find an equalizer just over 10 minutes later, putting a shot off the crossbar and seeing a second shot blocked mere moments then as LETU would call on three substitutions to try and get fresh legs in the game. The players off the bench would provide a spark for the YellowJackets as LETU would once again begin to take control of possession and put pressure on the Wildcat defense to eventually force an LC foul in the 18-yard box to draw a penalty kick. Zachariah Malik would step up to take the penalty kick in the 75th minute and convert to give LeTourneau a 2-0 lead as LETU looked to be in full control heading into the final stages of the game. Louisiana College would not go quietly, however, pressing on offense to try and give themselves an opportunity to make a late comeback after cutting the lead to 2-1 on a goal at the 85:36 mark. Clinging on to their one-goal lead, LETU would have to watch in angst as a corner kick by LC in the 89th minute would lead to a pair of shots for the Wildcats with the second shot going off the crossbar before being cleared away. The pair of shots would be the last threat that the YellowJackets would have to face as LETU would manage to run out the clock on the Wildcats and secure their fourth straight victory over Louisiana College. LETU would have to overcome a 15-10 deficit in shots in the match, as the Wildcats would put up eight shots in the first half before taking seven shots in the second half. Despite facing the multitude of shots, LeTourneau would only face four shots on goal while attempting four shots on goal of their own. Assisting on the first goal of the night, De La Torre has now recorded at least one point in nine of the 12 matches he has appeared in this year and has recorded an assist in back-to-back games. Soto-Barrera’s goal off the bench was just the second of his career, with the other goal coming in a two-overtime win against Hardin-Simmons. With three matches remaining in the regular-season, LeTourneau currently sits in fourth place in the American Southwest Conference standings and is two points clear of fifth-place University of the Ozarks. The YellowJackets will have a chance to extend that gap with a 7:30 p.m. match at Belhaven University on Saturday, October 20 in Jackson, Mississippi. 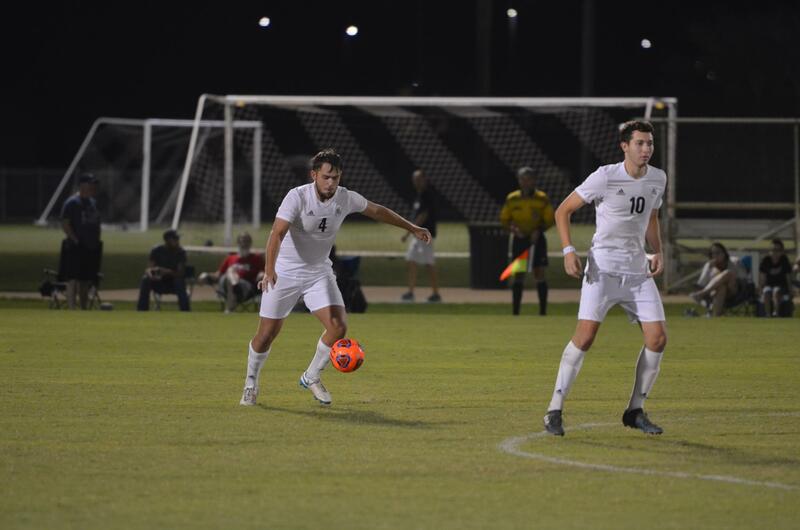 The Blazers were defeated by East Texas Baptist University on Thursday evening by a final score of 2-0. PINEVILLE, La. – Kicking off the final two weeks of the season with a two-match road swing, the LeTourneau University, women’s soccer team netted one goal in each half to take a 2-0 win over Louisiana College at Wildcat Stadium in Pineville, Louisiana on Thursday, October 18. The win gives LETU a 9-4-1 overall record and a 5-3-0 record in the American Southwest Conference while the Wildcats fell to 1-11-1 overall and 0-8-1 in the ASC. A slow start to the game saw little action early on as each team would put up just one shot each in the opening nine minutes. After giving up a second shot that would require a save from goalie Mackenzie Wilbanks, the YellowJackets would begin to take over possession and nearly make the score 1-0 in the 18th minute as Kelli Sonnier would put a shot off the post. LeTourneau would continue to keep the pressure on the Wildcats, but could not find the back of the net as opportunities would be turned away by LC to keep the game tied heading into the final five minutes of the first half. A breakthrough for LETU would finally come with just over two minutes left before intermission as the YellowJackets would take advantage of a misplay by the Louisiana College goalkeeper which allowed Reagan Sandford to send in a pass to Lexi Funk who would tap in an easy score to give LeTourneau a 1-0 lead. The YellowJackets would waste no time coming out of the break, putting up four shots in the opening six minutes of the second half before finally adding a second goal as Keely Hayden would clean up a blocked shot from Jennifer Martin at the 51:29 mark to double their lead to 2-0. The defense would then take over for LETU as LC would manage just one shot in the second half and never pose a serious threat to the YellowJacket lead as the YellowJackets would earn their fourth shutout victory of the year. In addition to their 18-shot advantage over the Wildcats, LETU would also hold a 10-4 lead on shots on goal and claim a 4-3 advantage on corner kicks. As part of the 22-shot barrage, six different YellowJackets recorded multiple shots in the game led by four shots from Sonnier while Hayden, Martin, and Brittany Shipp all had three. Wilbanks earned her sixth win of the year, producing her second clean sheet of the season between the pipes while playing all 90 minutes. LeTourneau can clinch a fourth-consecutive American Southwest Conference Tournament berth on Saturday, October 20th when they take on Belhaven University in Jackson, Mississippi at 5 p.m. The Blazers fell to 2-12-1 overall and 1-8-0 in the ASC after a 7-0 defeat to East Texas Baptist University on Thursday evening.